A man faces four years in a Dutch jail after admitting forging qualifications that allowed him to build a career as a forensic pathologist for years. Peter B, as he has been identified, examined victims of major disasters like the 2015 Germanwings air crash, which killed all 150 people on board. The 58-year-old, nicknamed Dr Bones, worked for a specialist firm, the Dutch police and public health bodies. He was caught after he was unable to take someone's blood pressure in 2016. Prosecutors described him as a fantasist and are seeking a four-year jail term, with six months suspended. The man's lawyer said such a sentence was too high, as nobody was hurt by his fraudulent actions. What did Peter B do? Dutch media have compared him to Frank Abagnale, a former conman whose story was fictionalised in the film Catch Me If You Can. The man told the court in Utrecht he had forged his doctorate from the University of Amsterdam and other diplomas and did not know what had compelled him to commit fraud. He was hired as a forensic pathologist for Kenyon International Emergency Services, a firm specialising in the repatriation and identification of victims in major disasters, and worked as a guest lecturer for a police academy. 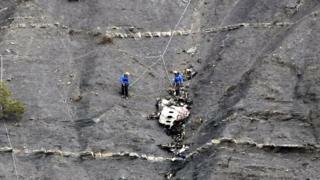 A Dutch woman told the court Peter B had given her a lock of hair from her daughter, who died in the 2015 Germanwings crash in the French Alps. She cried as she said she now doubted anything she had been told about her 20-year-old daughter's death. Kenyon International, which worked on that accident, said the fake pathologist had not been to the crash site or directly involved in identifying bodies, the Guardian reported. The Dutch National Professional Association of Autopsy Assistants, where Peter B became the chair, admitted naivety in hindsight. "The point is that he really had knowledge of medical matters, he could talk to us about complex illnesses without any problems," a spokesman told the Guardian. "But to be honest, we should have been sharper." The 58-year-old was trained as an autopsy assistant, someone who assists a pathologist in determining the cause of death.